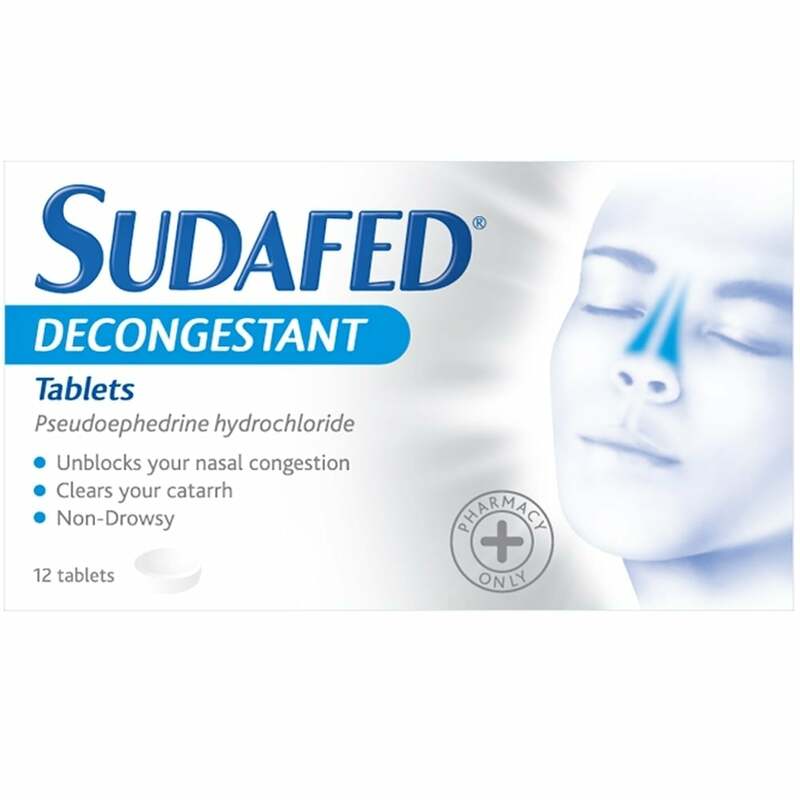 Sudafed Decongestant tablets help to unblock your nasal congestion and clear your catarrh. Non drowsy formula to help you get on with your day. Sudafed decongestant tablets help to clear a stuffy nose associated with allergies, cold and flu. Containing pseudoephedrine hydrochloride which helps to clear congestion of the nasal passage and sinuses, so you can breathe easier. Adults & children over 12 years: 1 tablet with water every 4-6 hours. No more than 4 tablets in 24 hours. Do not give to children under 12 years. No more than 4 tablets in 24 hours. If symptoms persist consult your doctor or pharmacist. Always read the product leaflet before use.